Attend the 2019 MOUNT AIRY BLUEGRASS FESTIVAL located in Warsaw, Va. along the Rappahannock River at the historic home Mount Airy. The music begins on Friday June 28th at 6pm with the special bluegrass stylings of CAROLINA BLUE followed at 7:30 by local Rappahannock pickers, JOSH GRIGSBY & COUNTY LINE! A special VIP pre-party meet and greet with Carolina Blue and Josh Grigsby will happen before the show for VIP ticket holders. On Saturday things kick off at 5:30pm with JUNIOR SISK & RAMBLER’S CHOICE bringing the Southwest Virginia high lonesome sound to the Mount Airy stage. 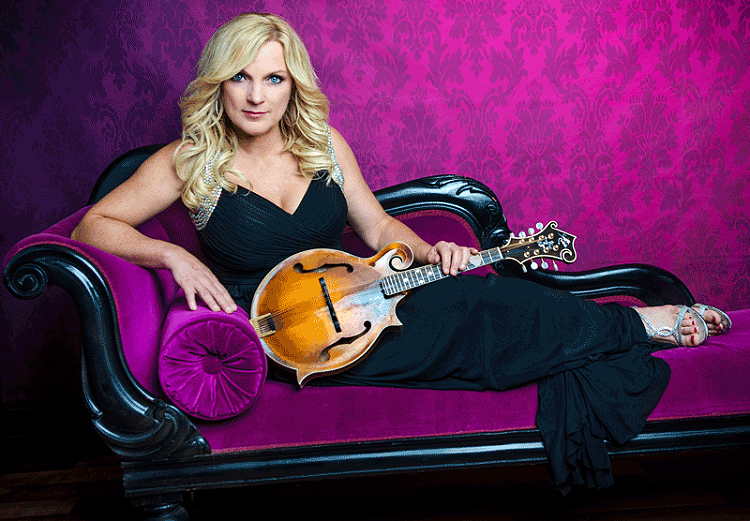 At 6:45pm Grammy Award winning artist RALPH STANLEY II & THE CLINCH MOUNTAIN BOYS make their return to the Mount Airy Farm stage to thrill audiences again and at 8:00 pm “The New Queen of Bluegrass” 2017 Grammy Award winning artist RHONDA VINCENT & THE RAGE will finish out the night and the festival with a rousing performance you will not want to miss. VIP ticket holders are invited to a special pre-party with Ralph and Rhonda and also get a signed CD from one of these artists. Bluegrass fans from across the Mid-Atlantic region will again make the short journey to the Northern Neck the weekend before Independence Day for the outdoor festival at Mount Airy so please get your tickets early, available to buy online or by calling 804-313-0815. The Mount Airy Bluegrass Festival will take place rain or shine on the intimate Deer Park lawn of the historic Mount Airy estate with the Summer sun sinking into the Rappahannock river and cool evening breezes in the treetops. Attendees are asked to bring a lawn chair or blanket to sit on. A flashlight may also be useful for after the show when returning to your vehicle. General admission tickets for Friday night are only $25 adults and $10 for kids 12 and under and Saturday night tickets are only $45. A Super Pass that gets you in for both days is only $60. A special 2019 VIP ticket includes: passes and tickets to both evening’s shows, VIP parking and a reserved seat up front close to the stage for both nights, a special Friday afternoon pre-party with Carolina Blue and Josh Grigsby, a Saturday afternoon pre-party with Rhonda Vincent, Ralph Stanley II and Junior Sisk, a ticket to the Saturday Night Smokehouse After-Party and a signed CD from either Rhonda Vincent or Ralph Stanley II. Parking is free for all attendees and opens at 3pm each day. Gates to venue open at 4pm. Food trucks, Hubs Virginia peanuts and other delicious foods as well Virginia-made craft ales by Champion Brewing Company will be available for purchase. A portion of the proceeds from the festival will be donated to the local non-profit, Friends of the Rappahannock.